Schmidt Offset Shaft Couplings offer great flexibility in shaft displacement while maintaining undisturbed power transmission at constant angular velocity. The Offset Couplings provide a smooth flow of power for maximum product quality. And, unlike universal joints, there is no performance loss by increasing shaft offset. Torque ratings: 637 in-lbs. - 459,000 in-lbs. 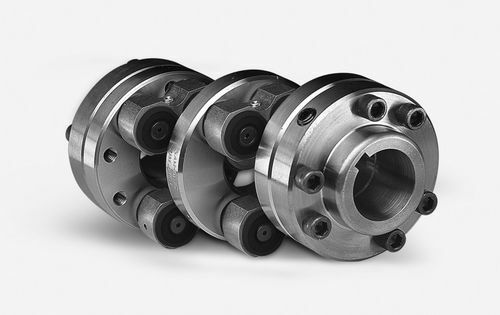 Zero-Max is especially good at making custom shaft couplings to meet your application requirements.